Turkish security forces confiscated around 851 pieces of historical artifacts and detained seven suspects in an anti-smuggling operation in southeastern Turkey's Diyarbakır province, the local governorship said in a statement Friday. 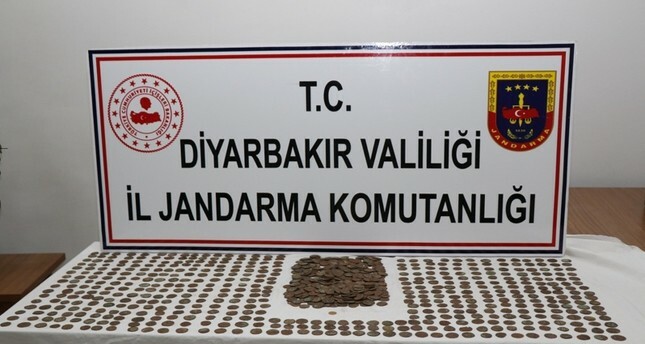 In the operation carried out by the provincial gendarmerie command's anti-terrorism units in the Kulp neighborhood of Diyarbakır Thursday, security forces seized 850 bronze coins and a gold one from the Roman and Byzantine periods while smugglers were about to sell the pieces, the statement said. Turkey has been fighting for the return of the stolen pieces at home and abroad.